An educator and facilitator at heart, I believe in helping my clients to feel comfortable, understand their rights and options, and make informed decisions with confidence. We all have lived our own separate lives, which influences who we are and how we think. I believe getting to know and connect with my clients is important, and that one should not judge another unless one has walked in their shoes. We live in a hectic world where time is money. But, not taking the time to listen, determine what is really needed, and doing things the right way, wastes money and could result in one not having the outcome or benefits intended. Thirty four years of experience with helping clients address their life challenges teaches one a thing or two. There is no substitute for the insight and perspective learned from experience. I believe many legal and personal disputes can be resolved by understanding and addressing the underlying issues. Relationship tension is a leading cause of stress and legal problems. My passion is to help people pursue an empathetic, collaborative approach to problem solving, and reconnect with those they care about. Many agreements are undermined by poorly drafted documents and deceptive behavior in the drafting phase. A contract & negotiation specialist, I pay attention to the details. This means you will have the Peace of Mind of knowing that your documents will effectively meet your needs when the critical time arrives. I’m good at what I do because I enjoy the challenges, and making a difference in my clients’ lives is important to me. Don’t worry about the problems, stress, the law or complicated facts. That’s my job! 4. Show you how to achieve what you want. That is why so many of my clients refer their family and friends to me for legal services, sound legal guidance, and Second Opinions. 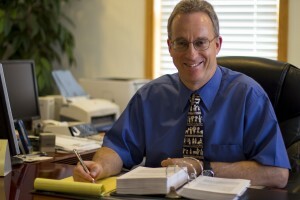 Contact attorney Rob Goldman now to discuss your rights & options.